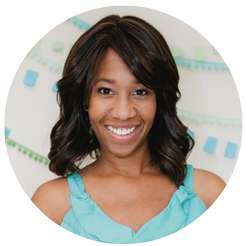 Take a deep breath; it’s going to be OK. I wouldn’t dare throw a new recipe with a lengthy list of ingredients at you this close to a holiday. 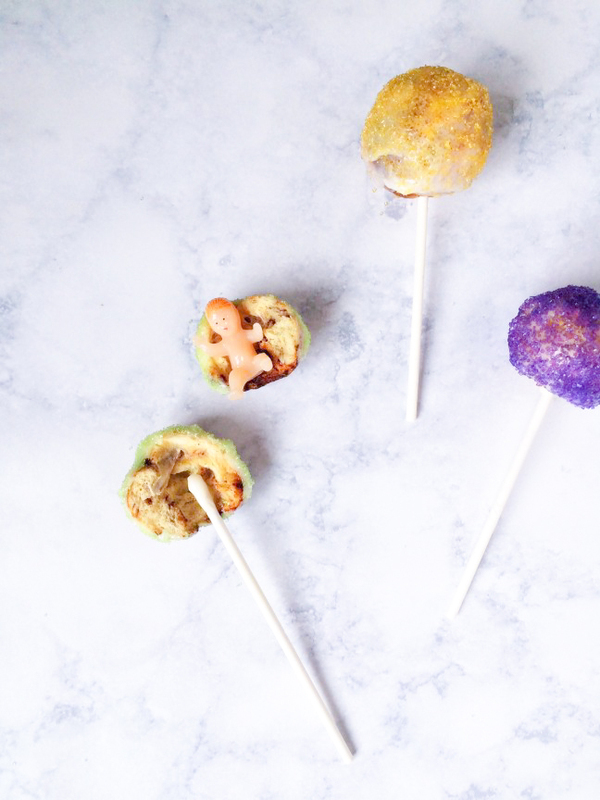 Instead, I’ve got a great shortcut that will help you create King Cake Pops in less than 10 minutes. Need another twist on this recipe? I’ve also managed to nestle a little plastic baby inside. In case you’re not familiar with this aspect of King Cakes, let me give you the deets. 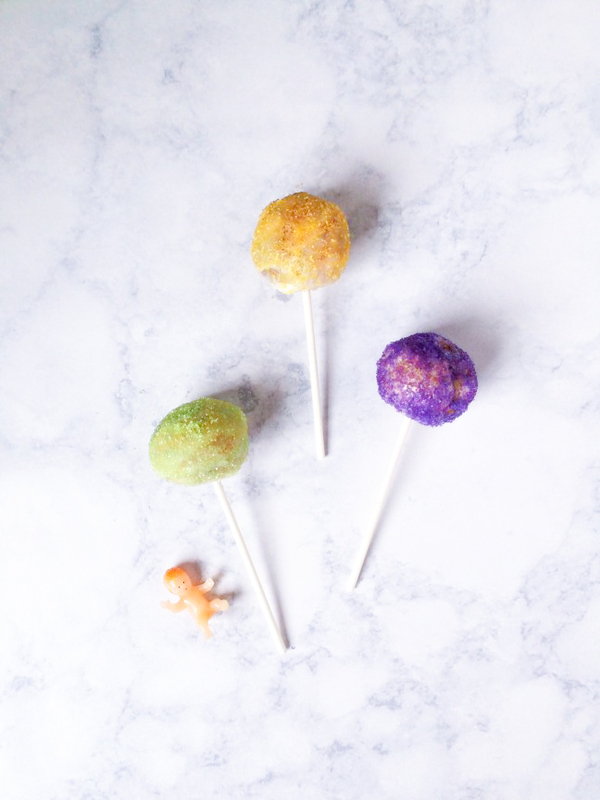 The guest who gets the slice of cake, er cake pop, with a little baby inside has good luck for the rest of the year. They’re also dubbed King or Queen of the festivities. Just be sure to let your guests know about the possibility of the wee one, so they don’t chomp down too hard on their pop. Step 1: Open the can of cinnamon rolls, separate them, and cut each one into thirds using a small knife. 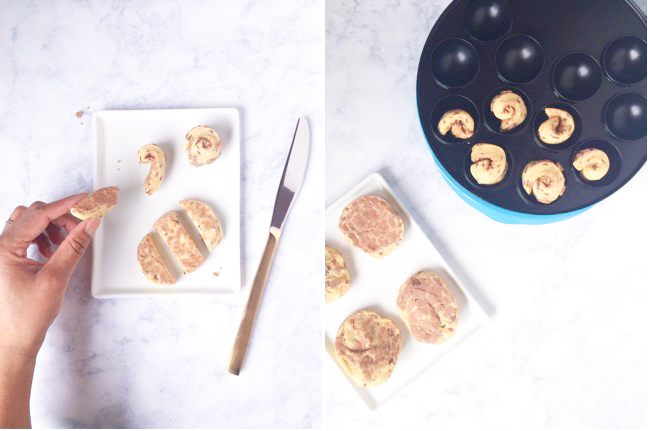 Step 2: Roll a slice of dough to resemble a tiny cinnamon roll. Repeat with each slice, and set aside. Step 3: Lightly grease the cake pop maker, and place a cinnamon roll into each pod. Don’t worry if the cinnamon roll doesn’t fill up the entire pod, it will rise as it bakes. Bake for two and a half to three minutes. Set aside to cool. Step 4: While the pops are still warm, not hot, carefully open one just wide enough to tuck in a toy baby. Close the pop back, dip a stick into the cinnamon roll icing, and insert the stick into the cinnamon roll. 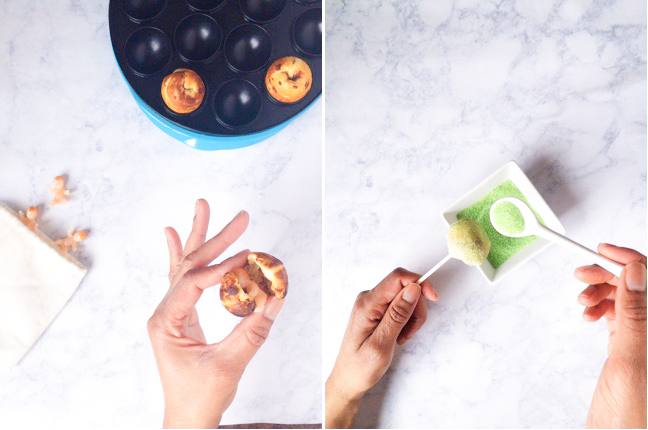 Step 5: Hold a cake pop over a small bowl. Using a spoon, drizzle icing over the cake pop. Sprinkle sanding sugar over the cake pop. Gently press the sprinkles into the icing to ensure they don’t fall. Place the cake pop into a votive holder, and carefully lean it against the edge of the container to allow the icing and sprinkles to fully set. Repeat for each pop.